US-V5-CMS-SO Dodge Viper SRT (2013-2017) Custom Floor Mat Set (2 pc) with Stryker Logo - Make it your way! Highest Quality you can buy. Make your own mat design with these very high quality after market mat sets. Stand out from the crowd with your choice of colors. 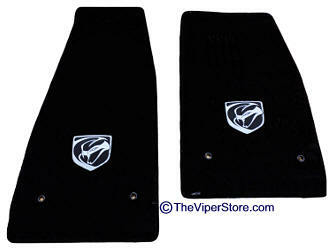 These Plush mats are specifically designed for your Viper Drivers and Passenger floor compartments. Includes Viper "Stryker" logo. Mat shape may differ some from photo. They are not the same shape as the stock mats. Mat and thread color may vary slightly from color you see on your computer screen and not designed to match any particular car color. Highest Quality - Thick and Plush! Mat shape might not be the same as the picture above. 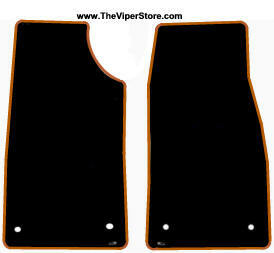 US-V5-CMS-REAR-SO Dodge Viper SRT COUPE (2013-2017) Custom Floor Mat Set (1 pc) with Stryker Logo - Make it your way! Highest Quality you can buy. Make your own mat design with these very high quality after market mat sets. Stand out from the crowd with your choice of colors. 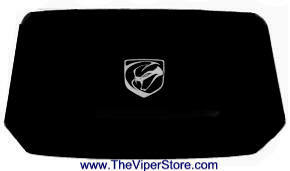 These Plush mats are specifically designed for your Viper Rear Hatch floor compartment. Includes Viper "Stryker" logo. Mat shape might not be exactly the same as the picture above. Mat set includes two (2) Dodge Factory Original mats, one for the drivers side and one for the passenger side. These are the real Dodge mats that came with the car not an after market copy. Carpet top and rubber "nubbed" bottom. Comes with all plastic screws and small parts. Factory mats do not have Viper logos on them. 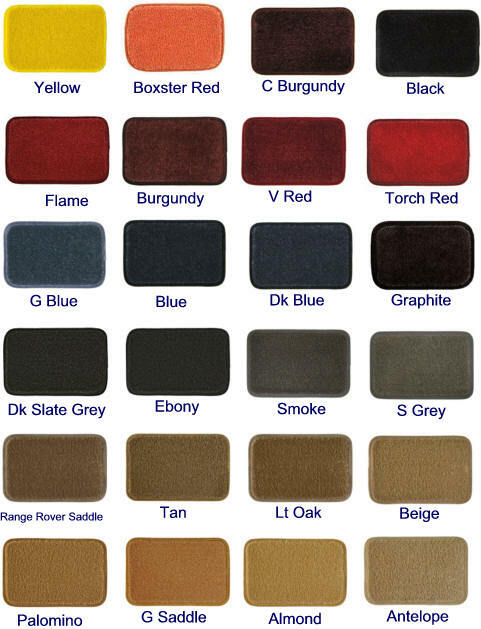 Black/Red - XR4AC Original factory replacement mats.